Avocado contains 'healthy fats', they are smooth and creamy. 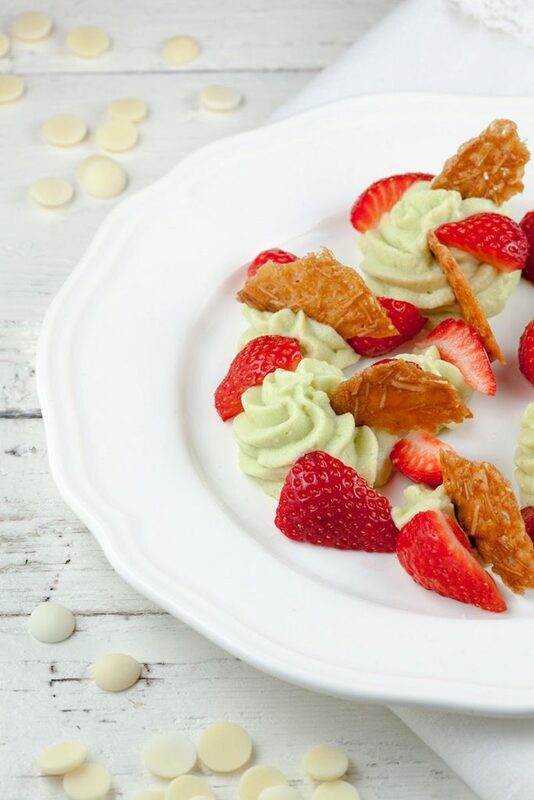 Perfect for a soft white chocolate avocado mousse. Ready in 15 minutes, very easy! FILL the medium-sized pan with a small layer of water and place the bowl on top. ADD pieces of white chocolate to the bowl. Make sure the water doesn’t touch the bowl, the steam will slowly melt the chocolate inside of the bowl. Remove the bowl from the medium-sized pan and let the melted chocolate cool off a bit. Whip up the cream, you don’t want it to be too firm, about the thickness of yogurt. Use an immersion blender to create an avocado puree and add the lemon juice to the avocado puree to prevent it from discoloration. 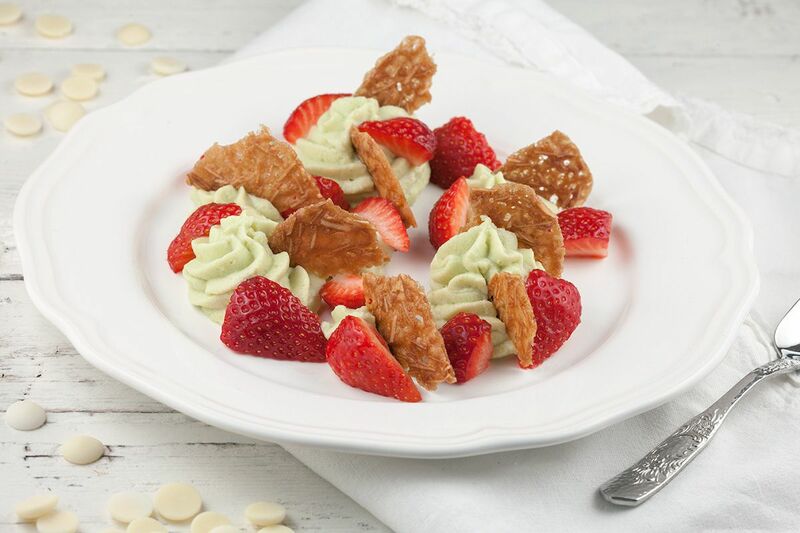 COMBINE whipped cream, melted white chocolate and pureed avocado until smooth. This is done best using the silicone spatula. WHIP up the egg white until it forms stiff peaks. Carefully fold in the fluffy egg whites and add the agave syrup. COVER with cling film and refrigerate at least an hour, until the mousse is firm enough. 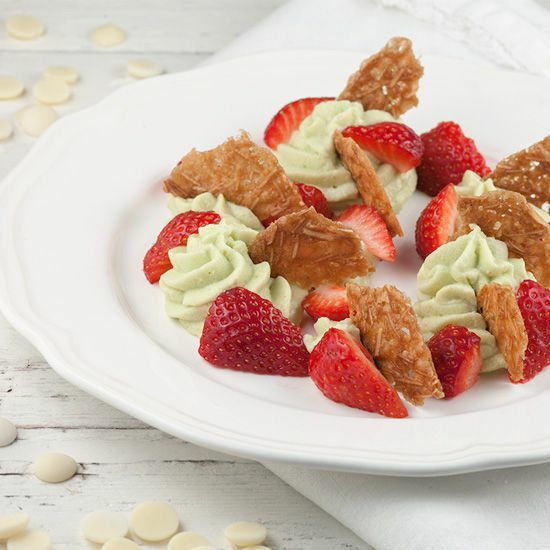 Garnish with fresh strawberries and/or pieces of almond cookies. Enjoy!